Wisconsin's Republican-controlled legislature took a highly unusual step in the lame-duck session Wednesday morning and approved a raft of measures that will strip powers from incoming Democratic Gov. Tony Evers and Attorney General Josh Kaul. Why it matters: Limiting Evers' authority will make it increasingly difficult for him to implement campaign promises, and it will extend years of fierce ideological skirmishes in the battleground state Republicans have fully controlled for years. Timing: The last-ditch effort, which outraged Democrats call a blatant "power grab," comes less than a month after Evers and Kaul defeated the state's Republican incumbents. The backdrop: The move mirrors a similar one made by North Carolina Republicans two years ago, during which they successfully stripped powers of Democratic Gov. Roy Cooper. Michigan's Republican-controlled legislature is also currently considering measures to weaken the powers of incoming Democratic of Gov. Gretchen Whitmer, Attorney General Dana Nessel and Secretary of State Jocelyn Benson. What they're saying: Wisconsin Republicans are defending their efforts as necessary to balance the power of the legislature and the executive branch. Gov. Scott Walker, who now gets a final chance to reshape state government before leaving office in January, signaled to reporters this week that he supports the proposals. Meanwhile, Evers and other Democrats have threatened to take legal action, arguing that Republicans are trying to invalidate election results: "We're not going back in time to re-vote this election. I won and I'm more than willing to work with the legislature going forward," Evers said this week. 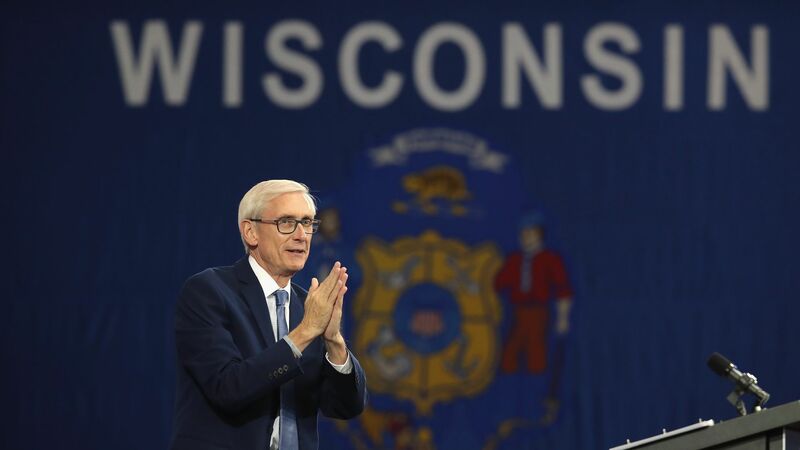 Make it difficult for Evers and Kaul to withdraw the state from a Republican lawsuit challenging Obamacare and to exercise oversight or have the power to roll back conservative policies. Allow lawmakers to hire private attorneys to replace Kaul on certain lawsuits, enabling Republicans to better defend conservative laws if challenged in court. Slash early voting to a two-week window before elections, a move that will deprive counties that currently decide when to start. Democratic strongholds like Madison and Milwaukee began early voting six weeks before last month’s midterm contests. This proposal is almost certain to trigger a court challenge because a federal judge struck down a similar proposal as unconstitutional in 2016. Require Evers to get permission from lawmakers to ban guns in the state capital. One of the most controversial proposals — a plan to move the date of the 2020 presidential primary from April to March — is dead after a committee vote Monday. Why it matters: Local reports said it's an attempt by Republicans to safeguard conservative state Supreme Court Justice Daniel Kelly, who will be on the April ballot, out of fear that a Democratic wave could cost Kelly his job.